The Envision is Buick’s offering between the tiny Encore and massive Enclave. Unlike the other two, it lacks the refined ride quality and comfort that define the Buick brand. It is quieter and more comfortable than some of its competitors, but it doesn’t do the job well enough to justify its hefty price tag. Additionally, it’s an American SUV that isn’t actually American. We’d skip the Envision altogether and either save money by buying a premium trimmed “lower” brand or a similarly priced, actual luxury SUV like the Acura RDX, Audi Q5, or Lexus NX. While we applaud the standard inclusion of a rearview camera, Apple Carplay, and Android Auto, it’s just not enough to warrant an MSRP in the mid 30’s. Add leather, as most seek in a “luxury” SUV, and the price approaches 40k. It’s not much of a bargain, considering comparably equipped Audi Q5s and BMW X3s are just a few thousand dollars more. You can also tick all the boxes on a Mazda CX-5 or a Ford Escape and have thousands left over. We think that without the legendary comfort and quiet the Buick brand usually provides, there is no value added to justify the premium price. It’s, essentially, an overpriced GMC Terrain that can be had for thousands less though it shares the exact same powertrain. It seems someone at GM got tired of all the industry jokes about being slow directed at Buick for the last few decades. With both engines powering the Envision to 60 mph in the 7-second range, this one isn’t. However, we wouldn’t exactly call the Buick inspiring to drive either. Furthermore, Buick seems to have sacrificed some of their unique qualities to make it happen. The Encore lacks the meditative cabin present in both the Encore and Enclave, as well as the comfortable ride. The suspension is soft but doesn’t absorb bumps properly. Instead, it bounces and sways afterward, in an attempt to diffuse the energy. The handling is neither sharp nor relaxing, just perplexing. The gearbox isn’t much better. It’s quick to shift to the highest gear possible, good for those trying to save fuel, but difficult to pass other vehicles. Buick chooses to place an awkward gear selector on the shift knob, rather than install paddle shifters like everyone else in the segment. The consequence is a nearly unusable manual setting for this gearbox. The one shining redeeming quality in the performance category is an amazing set of brakes. The 17in front brakes will slow the Envision down from sixty quicker than even some of its German competitors. Comparisons to Germans stop with the brakes. We don’t really know why anyone would buy this Buick over any competitor, but if anyone does, ask China. 136,000 of these SUVs sold there last year, more than half of Buick’s entire US sales. We wouldn’t recommend buying the Envision, but if you do, please let us know why. Inside the envision, passengers are welcomed by a rather nice interior, not something we’d designate as luxurious. The wood trim and soft-touch, contrast stitched dash is impressive. However, the hard plastic lower dash and other spaces detract from the overall appeal of the interior. We think it could be better, especially at a price that attracts potent competition from both foreign and domestic automakers. The driver’s seat is perched high and combined with a low, sloping nose line, provides excellent forward vision. This will be appreciated by drivers of smaller stature, taller drivers may find the seat does not go low enough to find a comfortable position. The leather-appointed trims enhance the seating comfort but aren’t as supportive as seats found in similarly priced competitors. The rear seats have plenty of room and the ability to slide and recline, a rare feature in many compact crossovers. A lack of large transmission hump makes the middle seat useable. On a more positive note, the Envision comes loaded with standard technology features like a rearview camera and smartphone connectivity. The latter can be used with the 4G hotspot to prevent dreaded data overages. Four standard USB ports ensure everyone stays connected. The Intellilink infotainment system is simple and easy to use, combining analog controls and a touch screen. A Teen Driver feature allows parents to set speed limits to prevent reckless driving by their offspring. The 57.3 cubic foot cargo capacity with seats down and 26.9 cubic feet with seats up isn’t bad for the class. A hands-free power liftgate is also standard, allowing you to easily access your cargo space, even with your hands full. 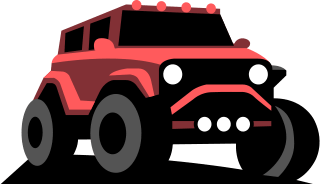 Overall, the lackluster interior finish is outweighed by convenient technology that makes for an acceptable interior for the class, though we think there are better options for the money. 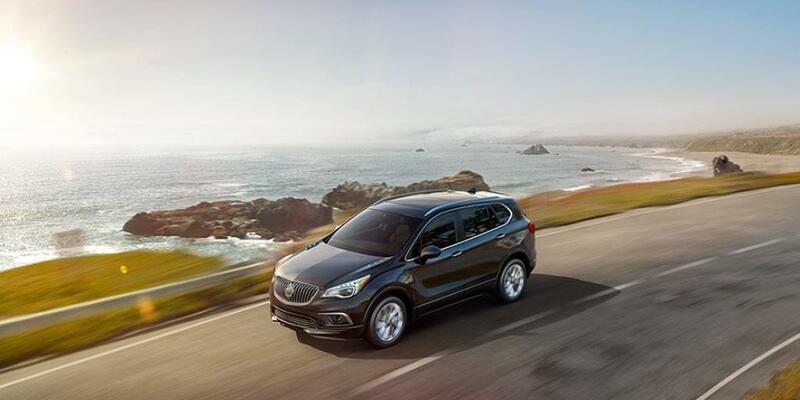 The Envision features a sharper design than the more rounded Enclave, giving it a more modern appearance. Standard LED running lights augment the upscale presence. Upper trims receive additional body molding around the vehicle and larger wheels that give the Envision a sportier stance. We think the design is a bit uninspiring when compared with competitors in this price range, but we recognize beauty lies in the eye of the beholder. Feel free to make up your own mind. JD Power awards the Envision with a 4 out of 5 safety rating, signifying higher than average reliability. Meanwhile, Consumer Reports offers a 3 out of 5 reliability rating. This SUV is not old enough to have detailed data for CR to analyze, so this rating is based more broadly on Buick’s reliability reputation. Further research indicates an above average 48 technical service bulletins issued by the NHTSA, which means you should carefully research the specific model of Envision you buy and have a mechanic inspect the vehicle carefully to see if any of these known issues are a problem in your vehicle. We wouldn’t call the Envision a particularly reliable choice in the compact crossover segment. The Envision is awarded a Top Safety Pick by the Insurance Institute for Highway Safety, with perfect crash test results. The National Highway Traffic Safety Administration is slightly less optimistic, giving the Envision a 4 out of 5-star rating in the frontal crash and rollover categories. However, it still received a 5 out of 5-star overall rating. Ten standard airbags are plenty and ensure passenger safety in the event of a collision. The standard blind spot monitoring and forward collision warning system that pre-charges the brakes for added stopping power is welcome in a segment where these features can cost thousands extra. Unfortunately, many additional driver assistance features are only available on the top trim levels. There is currently no safety recalls by the NHTSA for the Buick Envision. Overall, we believe the Envision is a safe SUV. If you have your heart set on a luxury brand, we suggest you carefully consider the Acura RDX. It provides more power standard in the form of a 3.5 liter V6, a better standard interior, and even more safety features. The driving dynamics are vastly better, from straight line performance to cornering. The ride is a bit firmer but well worth the performance characteristics. Better resale and reliability further make the case for purchasing the Acura over the Buick. However, if you’re looking for an American branded vehicle, we think the Ford Escape Titanium may be a better option for you. Even the fully loaded Titanium trim arrives at an MSRP thousands less than a base Envision. The interior fit and finish are higher quality on the Ford and the leather seats are more supportive. The Ford SYNC 3 system is comparable, if not better than the Buick’s Intellilink system. The FordPass app will also allow you to unlock and start your car, a handy feature for those of us who can never find their keys. The cargo capacity in the Ford also exceeds the Buick by up to ten cubic feet. The Ford doesn’t offer a wifi hotspot and its rear seats only recline rather than slide like the Envision. The driving experience is much better in the Ford, better acceleration, and handling. However, the featherweight Ford suffers in the safety category, receiving much lower ratings from the IIHS and NHTSA. We still think the Escape Titanium is a much better buy than the Envision. The icing on the cake: the Escape is actually made in America, while the Buick is manufactured in China. The base front-wheel drive Envision starts at an MSRP of $34,990 and arrives equipped with a 4G wifi hotspot, hands-free liftgate, rear backup camera, Apple Carplay, Android Auto, and keyless entry with push-button start. The Preferred trim level begins at $36,795 and supplies little besides the availability of additional packages. At $38,645, the Essence trim level adds a blind spot detection system with lane departure warning, perforated leather seats, chrome roof rails, premium wheels, heated rear seats, heated leather steering wheel, and rear cross traffic alert. For $3,655 more, an intelligent all-wheel drive can be added to these three trims. The Premium I & II trim levels are only available in all wheel drive and receive turbocharged 2.0 Liter inline 4 in lieu of the 2.5 Liter inline 4. Premium I starts at $43,640 and builds on the Essence trim with a premium Bose 7 speaker audio system, larger 19in wheels, larger 17in brakes, dual stainless steel exhaust, upgraded front strut, intermittent rain-sensing wipers, 8in driver information display, forward collision alert, 3 prong rear power outlet, and safety alert driver seat. The $45,885 Premium II trim adds articulating headlamps, HID projector beam headlamps, auto dimming brights, automatic park assist, navigation, cooled driver’s seat, heads up display, thigh support, and the availability of automatic front braking, adaptive cruise control, and surround view camera.